Re-discover Prague’s #1 attraction after it’s closed, when the crowds are gone, and the buildings are lit up. This is the magic of Prague at its best. This is not an official history tour of the Castle, it’s a stroll about the Castle grounds. 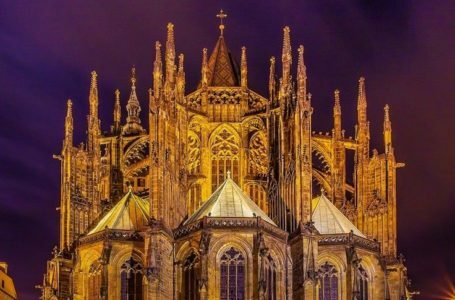 We delight in contemplating Saint Vitus church, the 100 spires, the palace of the great Kings and so on. We meet at the foot of the Castle on Malostranske Namesti plaza, 5 minutes away from the Charles Bridge. We hop on tram #22, for a short ride on Prague’s most romantic tram line. We enter “the gardens of liberty”, the work of President Vaclav Havel, the hero of the Velvet Revolution. We walk through “Parade Gate”. We contemplate the Royal Palace, home of Czech kings for over 1,000 years. We steal a glance at secluded inner courtyards. And the lit-up facade of Saint Vitus Cathedral appears to be on fire. All along, the crowds are gone – in these places that swarm with tourists during the day. Only the Presidential Guard are there, in best bib and tucker. We may even manage to peek into Golden Lane – where black magicians were turning lead into gold for the mad king. Everywhere, we run into memories of Prague’s great heroes. We meet King Charles and King Rudolf of course. But we also meet Kafka, President-liberator Masaryk, and Cold War hero Vaclav Havel. This gentle stroll offers tons of photo opportunities. Across the rooftops of the city of 100 spires, we see “Lesser Town”, the Charles Bridge and the River, all the way to Old Town. Remember to bring your camera along. We then stroll down Nerudova, Prague’s most iconic street. Old buildings stare at us in the quiet of the descending night, full of fairy tales known to every local kid. The tour comfortably ends at its starting point. Before we part, the guide sees you back to public transportation or to a private taxi. Or if the night is young, she makes recommendations for things for you to do after your tour. Our Prague night walking tour runs every day at 7.30pm (until October 15th) rain or shine. From October 16th to April 30th this tour runs at 7pm. Our Prague night tour is US$28 per adult, and US$22 for teens 17 and under. We meet on Malostranske Namesti plaza in front of Starbucks.